A consortium of Dutch maritime companies, supported by the Maritime Knowledge Centre, have joined forces to further investigate the feasibility of methanol as a sustainable alternative transport fuel in the maritime sector. Shipowners Boskalis, The Royal Netherlands Navy, Van Oord and Wagenborg Shipping will take part in the consortium, together with a number of Dutch shipbuilders, including superyacht builders Damen Shipyards and Feadship, as well as engine manufacturers Pon Power and Wärtsilä. Some of the Netherlands’ leading research institutes including TNO, TU Delft, NLDA and Marin will invest and provide knowledge-building and research capacity for the project by studying operational profiles, ship configurations, engine configurations, performances, various emissions as well as many other relevant topics. 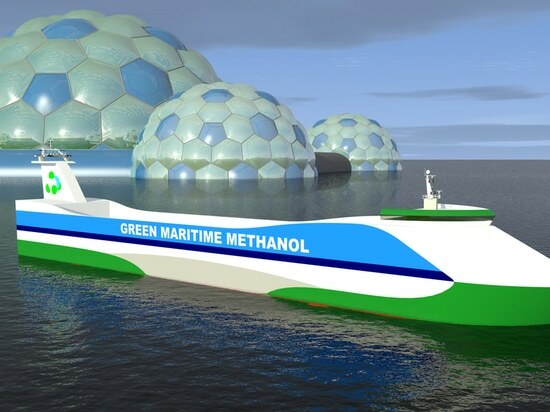 Named the Green Maritime Methanol project, the project will look at concrete possibilities of adopting methanol as marine fuel on either new builds or conversions of the existing fleet. “Together the consortium partners – which include all the main stakeholders in the transport supply chain – bring extensive experience and knowledge which will help to make this project a success,” announces Pieter Boersma, business director maritime & offshore of TNO, a Dutch research consultancy. As a consortium partner, Feadship intends to actively share knowledge on the particular yachting demands of energy and handling of fuel with the Green Maritime Methanol project. “Feadship is keeping a close watch on all developments relating to the energy transition, which we see will influence yacht design and operation in the next decade,” says Francis Vermeer, communications manager at Feadship.